[Game] What Movie is This? So, there is a What Drama is This thread already and I'll get my inspiration and rules from that. This is a game about guessing on an Asian movie, based on a picture a user gives us. 1. Post a picture from a movie. Make sure it's not obvious where it's from and that the file name doesn't give it away. 2. Use spoiler tags to put the pictures in and try to make them a reasonable size. Let's not overload the place. 3. The rest of the users try to guess which movie it is. Only 3 guesses can be posted before we pause for a hint! 4. After 3 wrong guesses, the rest pause the answering and the user who posted it gives a little hint. Not too helpful one! 5. When the answer is found, the user who answered correctly gets to post his/her own picture for everyone else to guess. 6. If the winner does not post a picture within 24 hours, the last winner continues with another one and so on and so forth. After the answer has been found, if you want to erase the picture from your account, you can do so. Maybe wait a few weeks though. Last edited by Orion1986 on Jun 18th, '11, 16:39, edited 1 time in total. Glad this game is up now but I really think 2 days to post is way too long it should be 24 hours to keep the game moving. oh well I might be alone on this? Should we say what kind of drama? Tai, Jap, Kor, Thai ? I was thinking about that. I felt that there are less movies than dramas so 2 days was ok. But if people find it too long, we can change it. I did, for now. Also, I guess if the picture is confusing enough, we could mention the country. We'll have to wait and see how people feel about it, so thanks for your input. Mine is Korean, btw. Re: [Game] What Movie is This? I think it's Virgin Snow. Just a blind guess...the Beast and the Beauty? Nope. 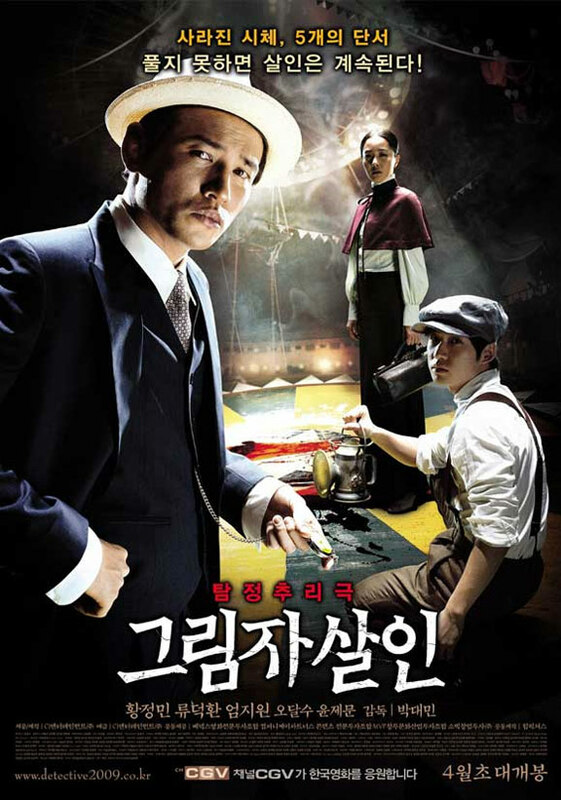 Ok, I'll basically give it away with this, but it's a Hwang Jung Min movie. Also, love to have you back, hon! Ahaha. Neither. Ok, this seemed to be tough so let I'll reveal it. Private Eye. With teh cutie! Ahaha. It's quite a "big" movie so I thought more would have seen it. And the hidden compartment scene with the morphine pouch was quite important. Ok, one of you can try now. I'll try and make the next one easier, if I guess anything and it's my turn again. LOL, thanks for telling. Haven't seen that one yet...gonna put it on my list. Will you continue then, Ecchan or should I hit you guys with another one? Ok, this should be easier. Memorable moment from the movie. Hi! Can I play? Is it Jeon Woo Chi? I can give a little hint that an actor from that is also starring in this though. Hee hee. Nope. Ok, another hint then. It stars TWO actors from the topic banner on the first post. Now, along with the previous hint, this should be easy. No. Ok, hmm... Two more clues then. The scene shown contains an elevator and the movie is about corruption. It stars someone from Woochi, two actors from the banner and what I said above too.You honestly haven't seen this? Apart from that I got loads of un-watched/ half-watched movies on my HD...but nuff excuses...Another guess...The Unjust? Good guess. Ahaha. Yoo Hae Jin from Woochi, Hwang Jung Min and Ryu Seong Beom. Hee hee. So, your turn now. It felt vaguely familiar, but no clue. And add that the "Seoul but not in Seoul"... Something imaginary, futuristic, post-apocalyptic... But so many options. Argh. I'm still not getting it, even if I might know it. I planned to give a Korean movie still, but haters would eat me alive (and I need to survive to July 15th 2012), so a Japanese movie. Thanks to you I hardly watch jmovie anymore cause you kept feeding me with good korean ones. I will feed you more good korean ones, keke. Hint 1: it's a classic movie (meaning - old). Haha guess that's too hard for us...it's been ages since I watched a few jclassics...hints please? To all idiots that can't read- I mentioned it's japanese movie, right? Plus, oh damn, read. Hint 2: this is a firs japanese color film (now that is a give-away). Couldnt resist but comment , haters gonna make a new thread for movies haha ! Hint 3: It has something taken from Dante's Inferno in the title. Hint: Winner of two awards from the Japanese Academy. Hint: The girl in the first screenshot is Matsushima Nanako. Hint: Terrorists take over a dam and hold hostages. MW would have been nice but the bit boring plot ruined things.Quite good actors and premise, not so well executed. And the usual bad english-speaking cast and english lines, but I could have lived with those if the movie otherwise rocked. Your turn, arakira. Yes, it's Satō Kōichi. It's been many days since the last time anyone posted. Schwefelhexafluorid do you want to continue?or anyone else.It's a nice game,let's continue it! Oh, excuse me, I somehow didn't check back here. And Ori I so agree with you. MW had the best premisses, good actors, money, a rather special original story but they managed to ruin it all and deliver a boring flick. Is it from a japanese movie? Is it "Party is over" / "Party wa Owatta" ? I haven´t seen it myself, but it has the same atmosphere. I have to admit, the first pic wasn't familiar at all, and I saw that thing, like, two weeks ago. I have a super crappy memory. Ok, now mine. Might be way too easy, tho. Thanks for taking the responsibility out of my hands so quickly! I try to refrain from guessing these, cause I don't want to do the asking! I've yet to see Villon's Wife but the time-set on my pic is before Meiji's Restoration. Villon's Wife I think after WWII, correct? I've also yet to see the remake. I still can remember the original. It was a great classic. the movie in question won unprecedented a number of awards in Japan Academy Prize. Like 13 Assasins, it also won Outstanding Achievement in Cinematography; in Lighting Direction; in Art Direction; and in Sound Recording among others. One of its actor also won Rookie of the Year..quite funny given he's 50-something when the film was screened. Hmm pic looks like the old man from Tasogare Seibei. That old man is Tanba Tetsuro. I see...never knew his name. thanks for the info.